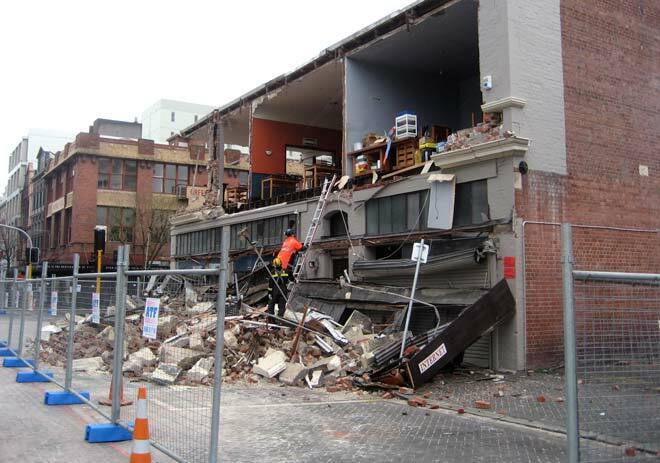 Unreinforced facades and brick walls collapsed onto the footpath and road in Worcester Street in central Christchurch early on Saturday morning on 4 September 2010. As the quake occurred at 4.35 a.m. streets were deserted, but there would have been casualties had the earthquake occurred during a working day. Around 100 people were injured in the Canterbury region – two of them seriously, but there were no fatalities.